« Peace out..! At least for a few days. Rob & Cheer’s Wedding – The Mothers, originally uploaded by Akira2506. So, I keep taking more and more photos and not having time to process the old ones. Gah! 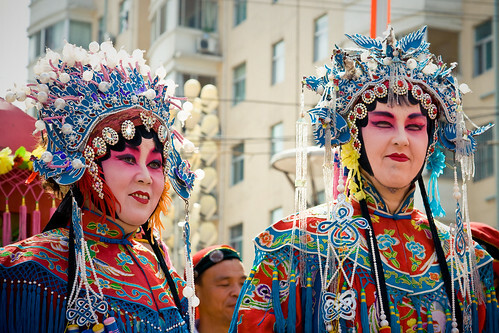 This shot is of Cheer’s and Rob’s mothers, dressed in their traditional Peiking Opera gear.